Super awesome library card templates are provided here with unique features and they are available in traditional as well modern designs. Some of them are digital library card templates with stunning designs and all of them are editable with the help guide provided. They are of high resolution and some of them are vintage-inspired designs. They are of different sizes and shapes. Logo of the institute and other necessary details can be inserted with ease and they offer several color options for each one of them. Most of them are having standard library card size. 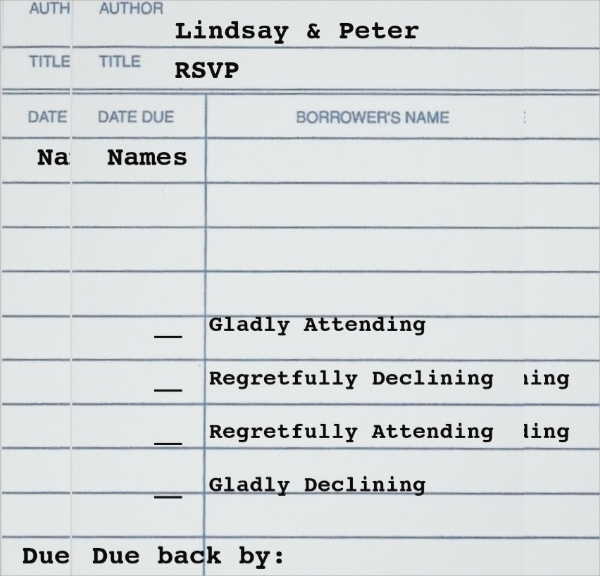 You can also see Event Card Templates. 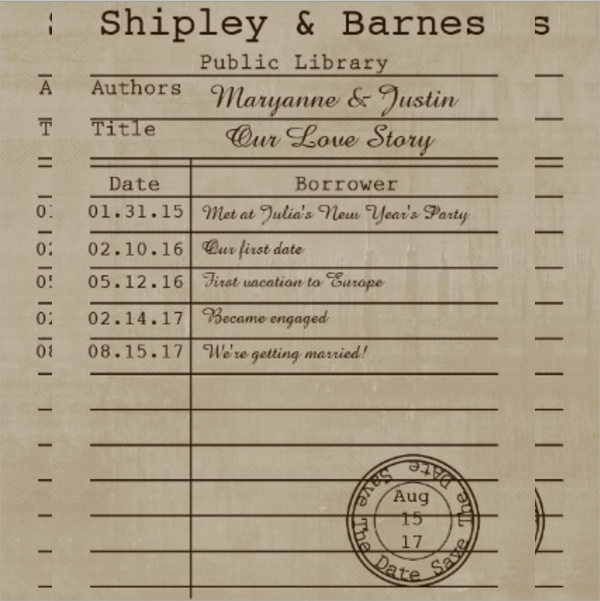 This is classic library styled card with 2 x 3.5inches size and it is available in EPS and AI file for editing. It is in print ready mode with bleed included. 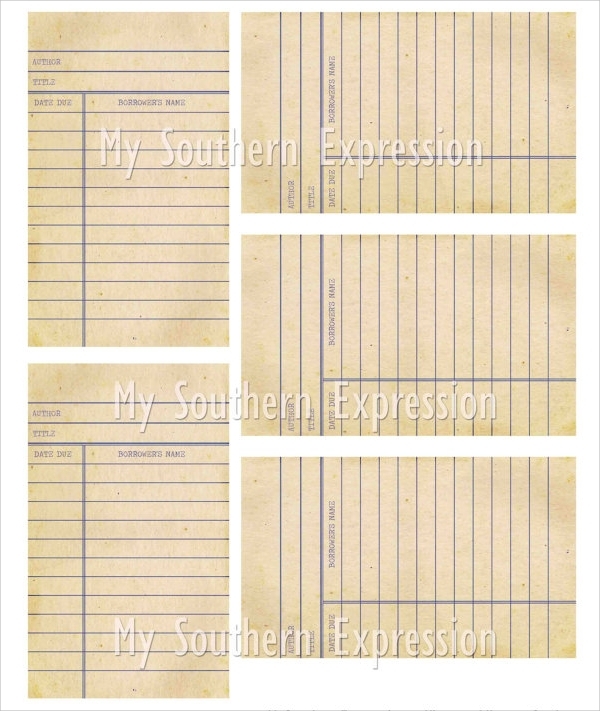 This is another traditional looking library card with simple outlines and it is available in several colors of size 3 x 5 inches. This is basically a school library card with vintage look and the fonts go well with the theme. It is available in portrait and landscape format. 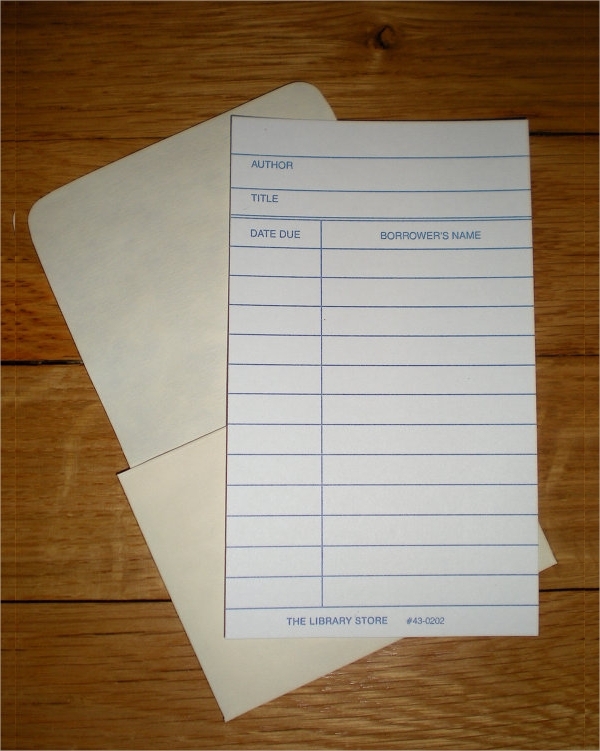 This is a great looking library card with 3 x 5 inches size and it is double sided for writing more data and any color can be applied on the design. You can also see Visiting Card Templates. This easily customizable simple library card template is having a great outline and layouts for data and text with size of 3.5 x 5” and vice versa in landscape. 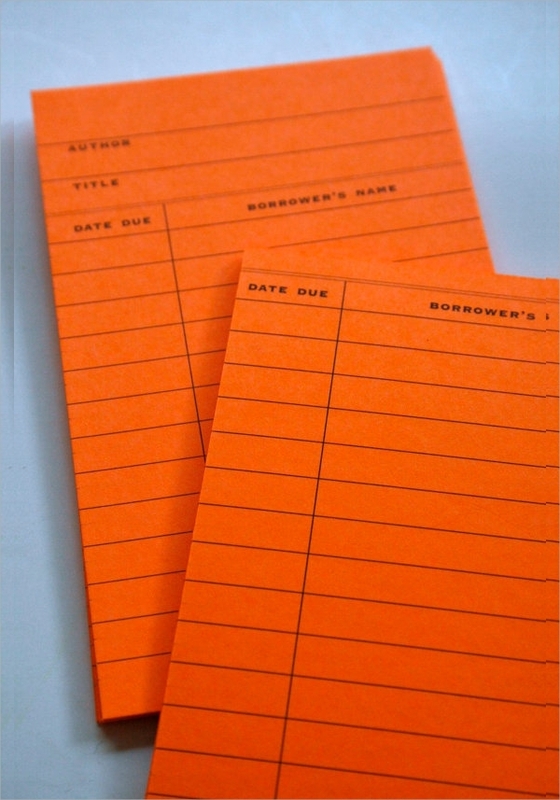 This library card is designed on a retro looking paper and it is available in default library card size and in A4 size. It is print ready with 300 dpi quality. You can also see Recipe Card Templates. This is an awesome looking colorful business card with superb design and it is something the owner will be very proud to own and it is fully customizable. 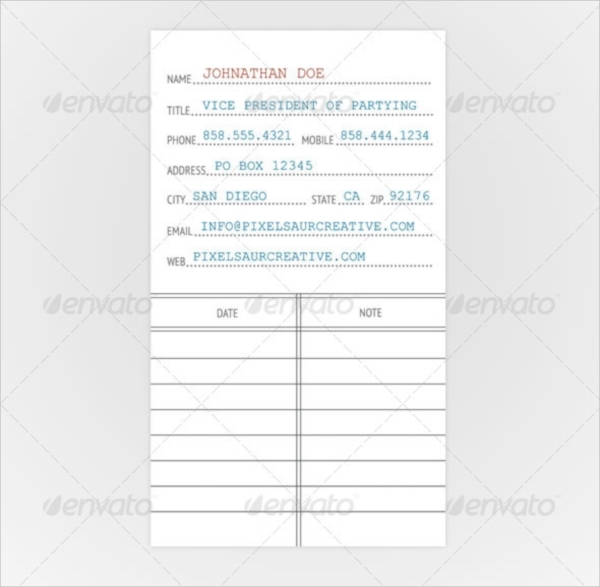 This is a 5 x3 inches blank library card template with vector property. This is colorable and simple in design. 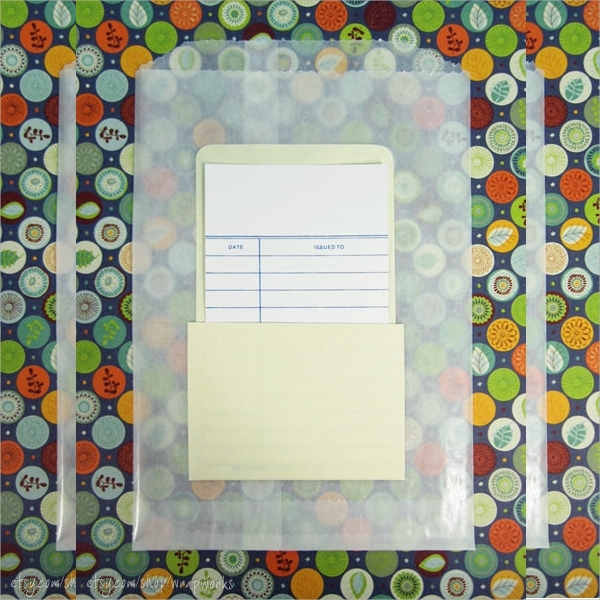 This is a library card with cover and the cover can be designed well and the card is simple in design with space for clean data and text writing. This is a rather great looking library card with a touch of retro colors and the design in very shuttle and makes it look amazing. This is a multi-colored library card with 3 x 5 inches size and it looks traditional and colorable according to requirement. This is an amazing looking library card with photo and other design. It is best for digital usage and it is customizable for all components. This is another set of colorable library card template with preset colors and it finds a lot of other application other than just library card such as record keeping. 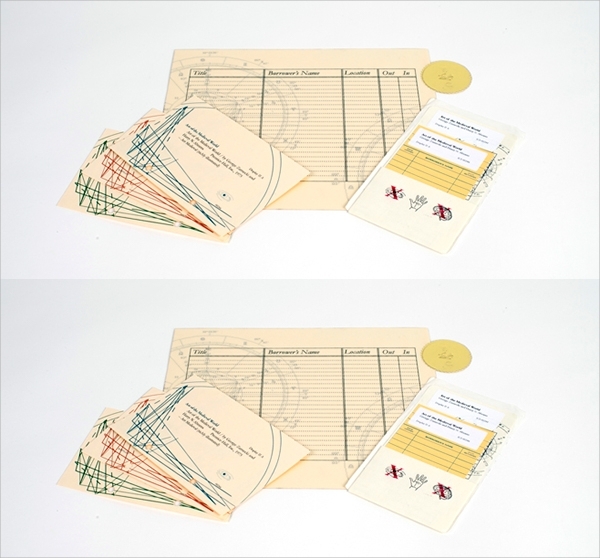 This is a totally vintage looking library card template with old colored paper in the background and clear layouts with retro fonts. This is a superb looking pocket library card and it is editable according to the pocket size and it comes with a cover design. The collection of library card templates that we have listed and discussed here are professional looking and are in print ready mode. 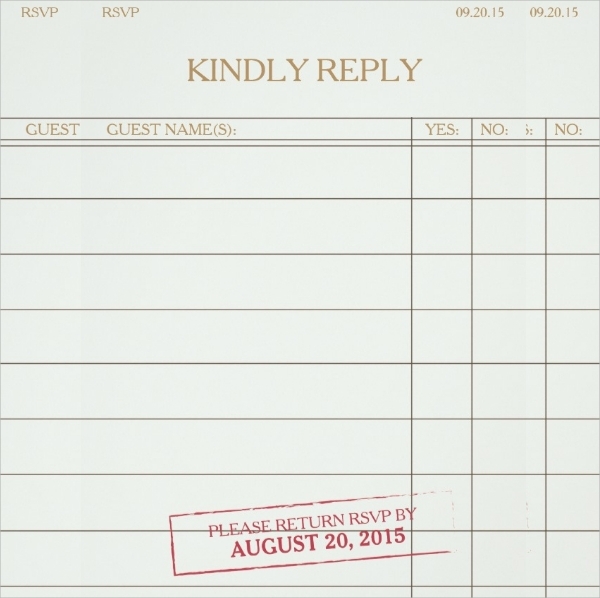 You need to tweak them as per your requirement and then print and dispatch. 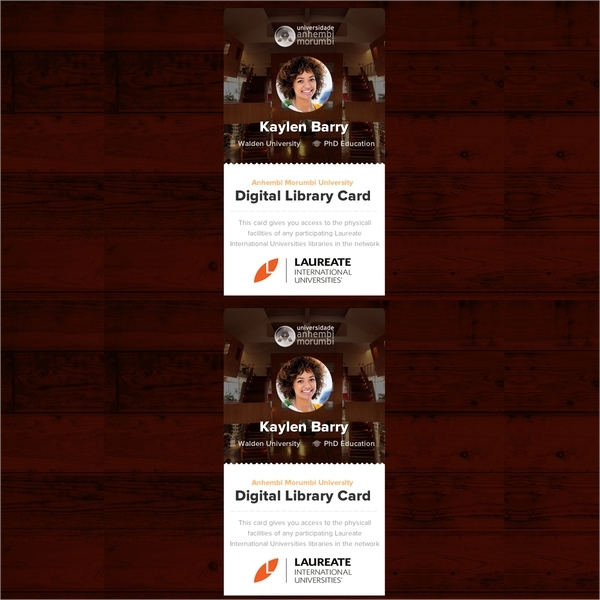 Digital library cards are also available in stunning designs and multiple sizes.